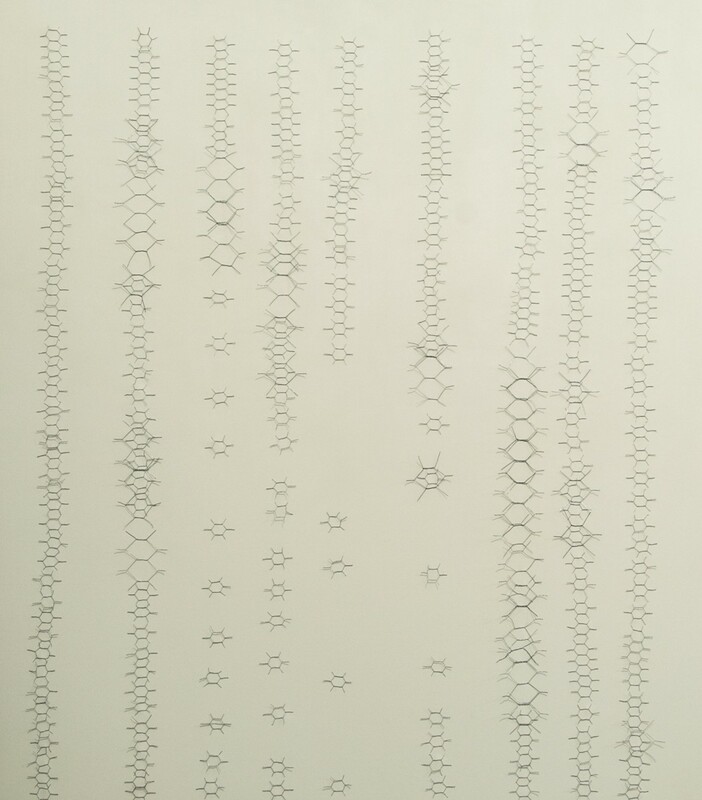 This work composed of chicken wire hexagons and copper mesh is held together by hundreds of small magnets. Each magnet holds a component to the canvas surface. 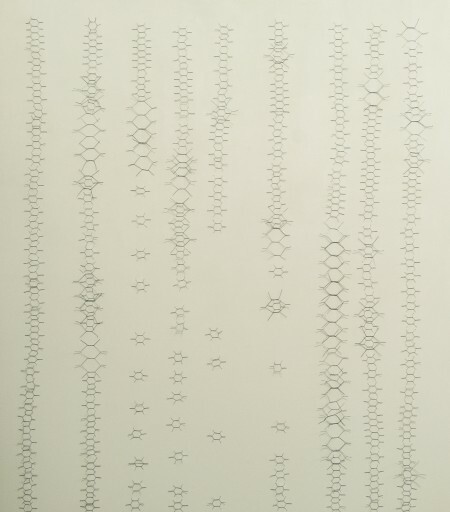 This works looks at systems of organization such as strands and lines to create an image created by lining up these small hexagonal mechanically woven wires. With these works, I explore the idea of where a drawing can happen. I envision the space between the magnet and the chicken-wire piece to be the place where the drawing happens.